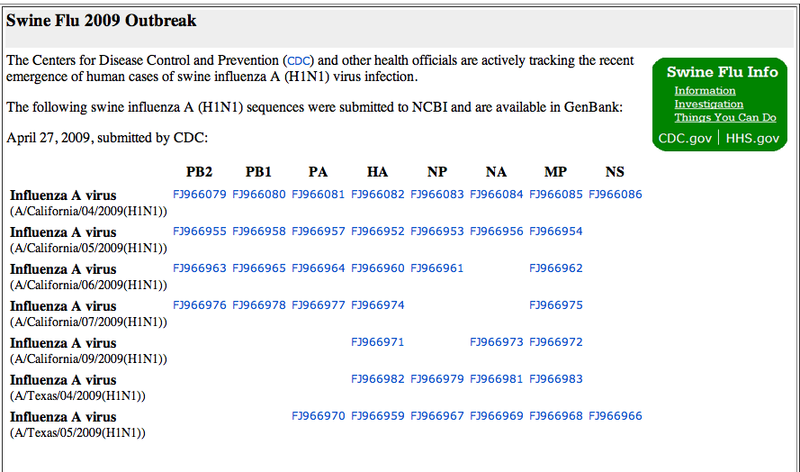 Each column heading is a name of a segment of the influenza genome. You can see there are eight of these. Each segment codes for different proteins. For those of you who are used to thinking about genomes being in one piece or being DNA, flu is kind of fun. 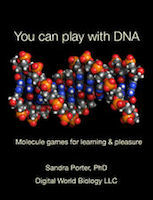 Not only is the genome broken up into 8 pieces, those pieces are RNA. And, a copy of that RNA has to be made before the information can be translated into protein. Anyway, you can get anyone of the sequences, either the protein or the nucleic acid, by clicking the linked accession number. In the next post, we'll see how to use these and make phylogenetic trees.